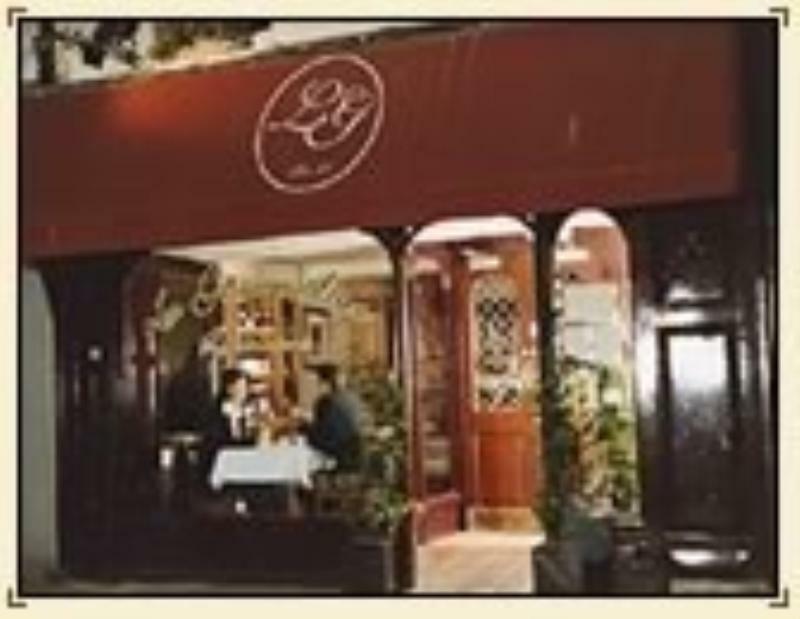 A little corner of France just off Cork's South Mall, Les Gourmandises is easily spotted with its distinctive stained glass door. Inside, a part-glass roof lets in plenty of light, although the real focus of attention is the food on the plate. Patrick and Soizic Kiely worked their way through some of the most prestigious Michelin-starred restaurants in the UK and Ireland (including the Waterside Inn, Bray and Patrick Guilbaud in Dublin) before striking out on their own. Since opening in Cork, they have turned this 'little gem of a place' into a class act serving seriously good food. Produce from Cork's English Market is used to telling effect, although luxuries such as foie gras are also added to the mix. Begin with an assiette of seafood or parsnip soup with roasted sweetbread, parsley and wild mushrooms before moving on to roast brill with crab ravioli, fondant potato and red wine sauce or guinea fowl with basil mousse, white radish and basil jus. Classic French technique is at the heart of desserts such as caramelised apple tart or pistachio crème brûlée with black cherry and lemon financier. The concise 20-bin wine list is a sharp, carefully selected assortment of bottles from elite French regional growers. Castletownbere crab with cucumber, potato crisp, radish & parsley oil. Cured salmon with beetroot , basil & lime mayonnaise . French country style pork terrine with Parma ham , apple puree & black pudding beignet. Foie gras & chicken liver parfait , poached pears, ginger bread & pear jelly. Tomato & red pepper soup with goat cheese & tomato ravioli. Baked fillet of salted cod served with a ragout of butter beans & chorizo , spinach. Roasted duck leg confit , charred gem lettuce, carrot puree, apple & Rosscarbery black pudding croquette, pomegranate. Braised lamb shoulder , polenta , wild garlic pesto ,broad beans. Chocolate parfait , roasted plums & yogurt ice cream. Roasted pineapple with vanilla ice cream served with a pistachio & rosemary financier. Selection of cheeses with fig jam & crackers . Cashel blue with grapes , crackers and a glass of fine port.